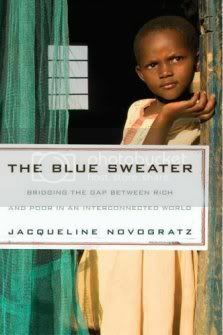 The Blue Sweater: Bridging the Gap Between Rich and Poor in an Interconnected World, is the inspiring story of a woman who left a career in international banking to spend her life on a quest to understand global poverty and find powerful new ways of tackling it. For Jacqueline Novogratz, it all started back home in VA with the blue sweater, a gift that quickly became her prized possession—until the day she outgrew it and gave it away to Goodwill. Eleven years later in Africa, she spotted a young boy wearing that very sweater, with her name still on the tag inside. That the sweater had made its trek all the way to Rwanda was ample evidence, she thought, of how we are all connected, how our actions—and inaction—touch people every day across the globe, people we may never know or meet. 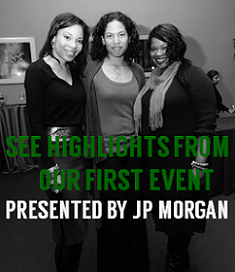 It is this awareness that continues to drive her efforts to fight poverty worldwide. Novogratz is the founder and CEO of the Acumen Fund, a nonprofit venture capital firm for the poor that invests in sustainable enterprises bringing healthcare, safe water, alternative energy, and housing to low-income people in the developing world. The fund is currently seeking college students for a student leaders workshop. The book tells gripping stories with unforgettable characters—women dancing in a Nairobi slum, unwed mothers starting a bakery, courageous survivors of the Rwandan genocide, entrepreneurs building services for the poor against impossible odds. She shows, in ways both hilarious and heartbreaking, how traditional charity often fails, but how a new form of philanthropic investing called "patient capital" can help make people self-sufficient and can change millions of lives. 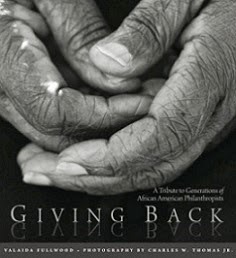 For the first 5,000 copies of The Blue Sweater purchased, a $15 donation per book will be made to the Acumen Fund. The Blue Sweater is available at Amazon and book retail chains.